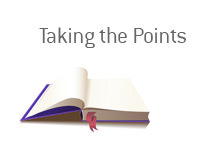 Taking the Points Definition - What Does Taking the Points Mean? 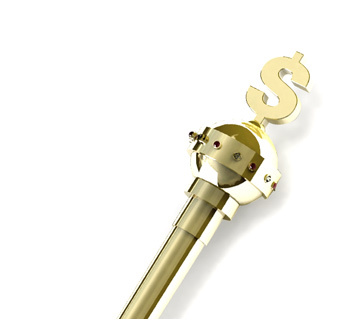 What does the term "taking the points" mean in the world of sports betting? What does "taking the points" mean? Let's say that you want to "take the points" and bet on the San Diego Chargers. This means that you would be betting on the Chargers, plus 10 points, to win. So, let's say that the Broncos win 24-17. Under this scenario, you would still win your bet, despite the fact that you took the Chargers, due to the fact that you are getting 10 points as well. If the Broncos won 34-17, you would obviously lose your bet. If the Broncos won 34-24, the bet would be a "push" and you would get your money back. This is what "taking the points" means in the world of sports betting.